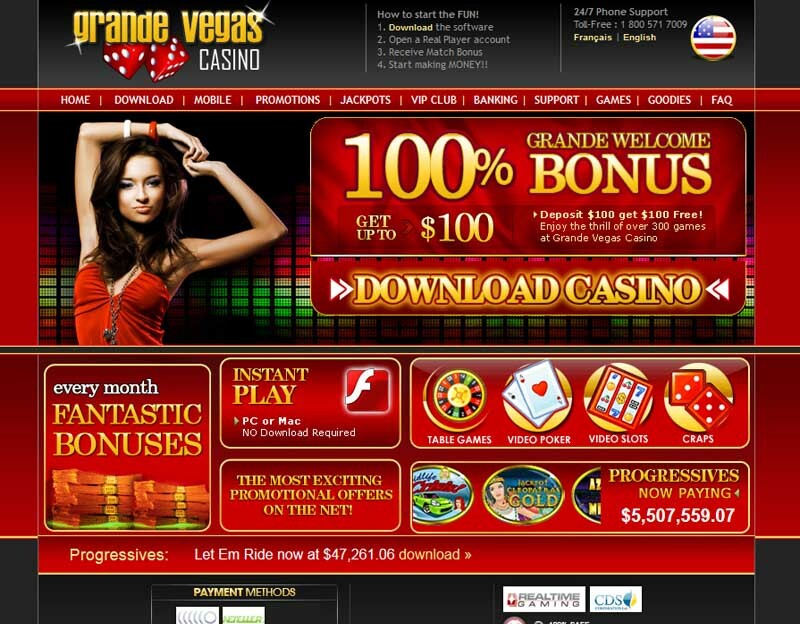 Grande Vegas Casino is another great gambling website which is filled with the most attractive games and other stuff that will surely keep you entertained. The site is designed with style and has pleasant graphics that can make you feel comfortable at the place. You may encounter plenty of opportunities to have a really great time with all the surroundings and games to choose from the whole collection supplied by one of the most trusted software developers. Real Time Gaming, because that is the name of the company that is responsible for the gaming platform, is a reliable source for technological advancements in the field of online amusements. Any of the products can be chosen either to play through the instant mode that is available for every type of operating system, and the download version which can be installed within the Windows environment. The trademark is fully licensed under the jurisdiction of Cyprus. All of the bonuses that are granted to the players do not require any payout limits to claim them, they do need the codes to be entered however. Make sure to check the section regarding the rules as they may provide you with valuable information on how to play responsibly at all times. More games than you can probably imagine are available at the casino with all the favorite ones being offered in the standard collection of classics. The Table Games include Vegas Three Rummy, War, Pontoon, Tri Card Poker, Red Dog, Caribbean Stud Poker, Blackjack, Baccarat. 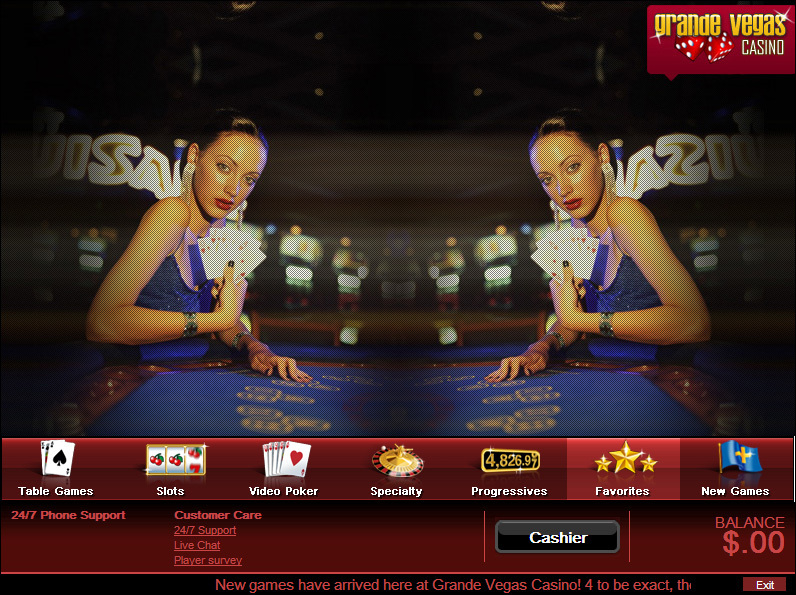 The amateurs of Roulette will also find both the European and American version of the game. There is also Keno, Sic Bo, Craps and many others. The Video Slots are very plentiful with Happy Golden Ox of Happiness, Coyote Cash, Diamond Mine. 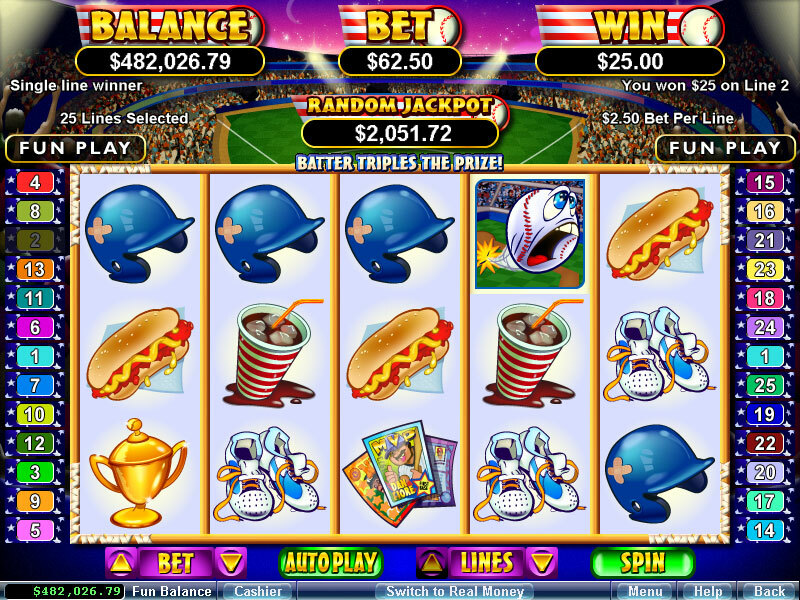 The Video Poker section has also the most popular gaming choices like Seven Stud Poker, Sevens Wild, Aces and Eights, Joker Poker and plenty more. The Progressive Jackpot can be approached by trying your luck with the Crazy Dragon, I.R.I.S. 3000, The Shark, Shopping Spree. You may access the customer support by telephone, e-mail and live chat. Banking options that are available to choose: eWalletXpress, Click2Pay, ecoPayz, Neteller, Visa, MaterCard, Skrill-Moneybookers, QuickTender. Currencies that can be used at the casino are U.S. Dollars. The language version of the interface you can choose is English. Be advised to check the data coming from the regulation part of the website, as there can be some of the valuable information which may prove useful in any of the activities.